View Cart “Cocktail MKII” has been added to your cart. We’re always looking for new improvements and with the Cocktail MKII we’ve created the perfect machine in the Cocktail format. 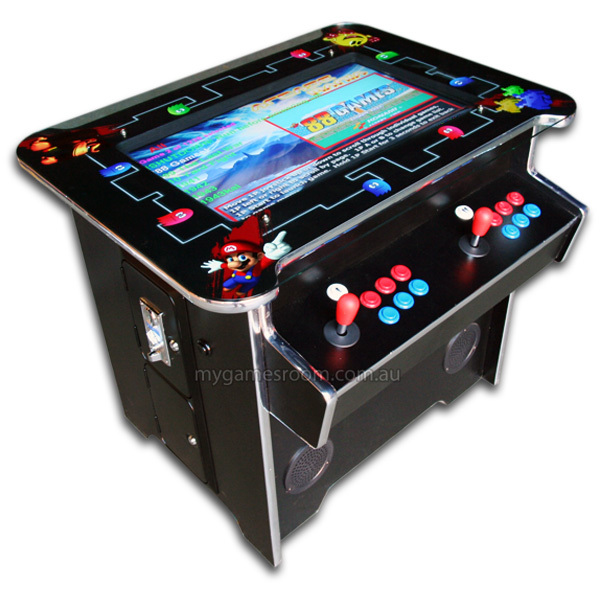 The standard Cocktail cabinet is great for all those classic games such as Pacman and Donkey Kong. These games are turn based so 2 player gaming is not a problem. However when playing the later games that require 2 player simultaneous action we’ve found the standard Cocktail falls short. 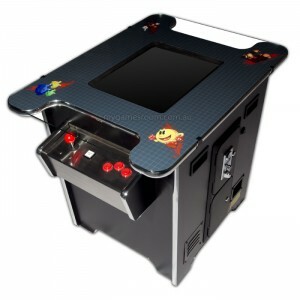 While these games are available on the machine; in order for 2 player action, the second player will be playing upside down. A difficult feat for even the best of gamers! 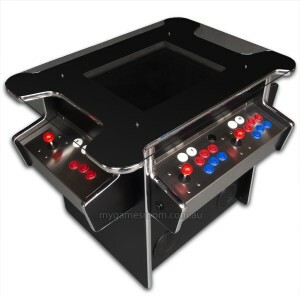 By repositioning both controls to the centre, the Cocktail MKII will play all your classics as well as being capable of playing 2 player simultaneous action. 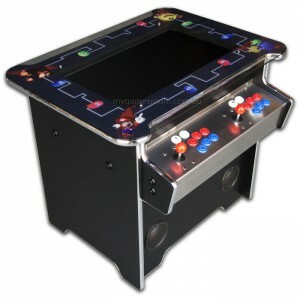 Choosing to position the controls on the longer side of the cabinet there is plenty of room for side-by-side action! Now comes with a huge 26″ LCD monitor and adjustable coin mech the Cocktail MKII does not fall short in any way.